The summit combines classic mountaineering jacket styling with outstanding modern lightweight performance. Handmade in Britain and designed to perform in the -10-20 degrees centigrade range, the Summit has 800-fill insulation using 100% pure european goose down giving a weight of just 700g. Water resistant lightweight technical fabric. 100% Finest pure European Goose Down - 800 Fill power. Two outer pockets - with press stud fastening for quick access. 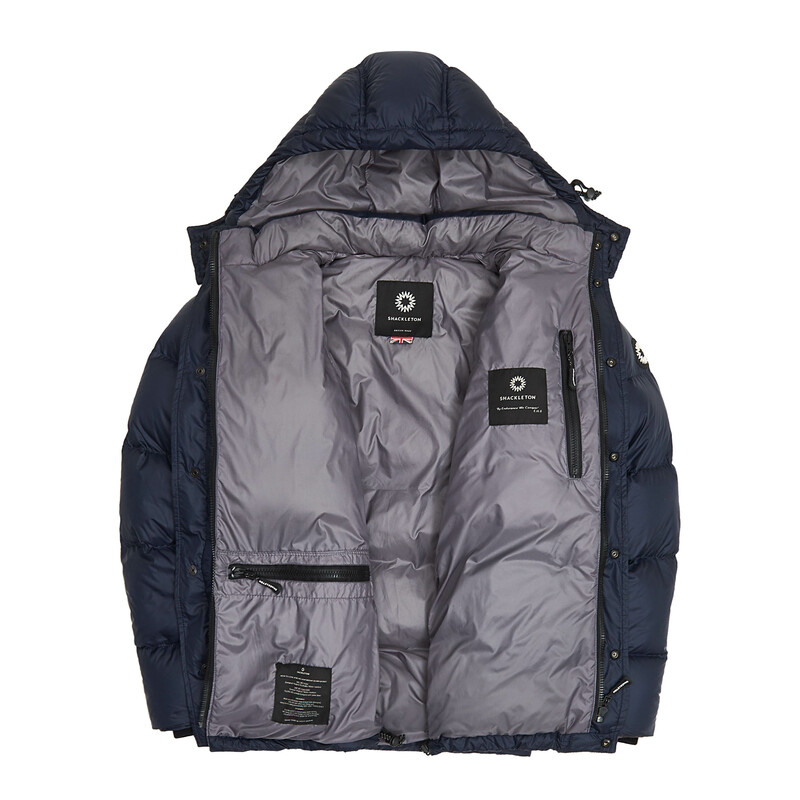 One large internal zipped pocket - close to body core for extra warmth for storing phone & batteries in cold environments. Hem draw cord for a tighter fit - extra protection in stormy conditions.